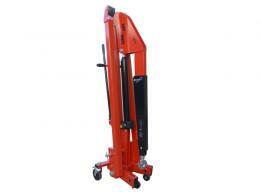 What is the purpose of the 1000kg Folding Workshop Crane? This crane is designed to lift loads of up to 1000kg in general industrial settings. When not in use, this standard workshop crane folds for storage, saving valuable space and increasing safety. This crane uses a hydraulic lifting mechanism and heavy-duty hook to quickly and safely lift large loads. This product is useful for lifting engines, heavy machinery, and other large objects. This product can be used in a variety of garage and workshop settings. This standard workshop crane is especially useful in tight spaces, as it can be folded and stored when not in use. Even in larger workshops, the folding design is useful, allowing the user to free up space and prevent possible injury. 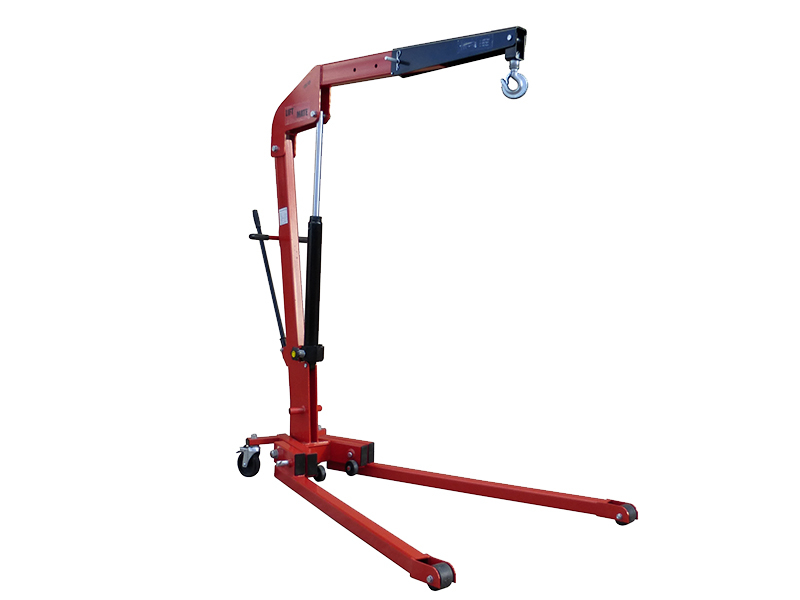 This standard workshop crane might be particularly useful in the automotive industry, but it can be used in many other workshop and garage settings. Anywhere that engines, other heavy objects and machinery need to be lifted, this standard workshop crane will come in handy. 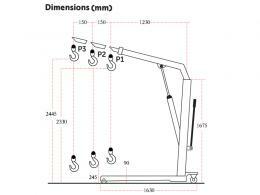 Industrial professionals in any of the settings mentioned above might use this standard workshop crane. Automotive professionals, factory workers, and many others might employ this sturdy piece of equipment to help them lift large loads. 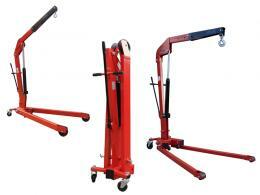 Factory owners and garage managers might purchase a standard workshop crane for their employees to use.